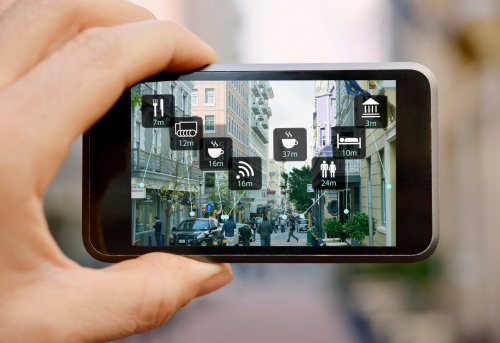 The folks at Veneble have written an excellent article for Lexology on how to Augment Your Legal Knowledge of Augmented Reality which discusses intellectual property and privacy concerns as well as future directions of AR. 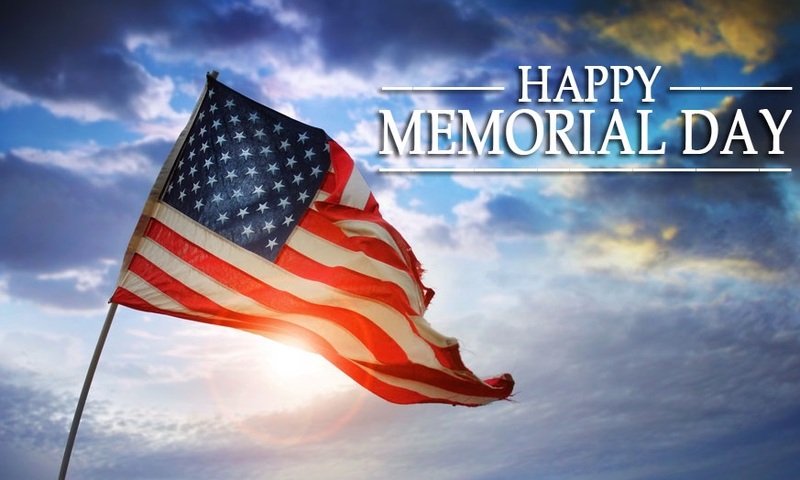 The New York Law Institute will be closing early at 3 PM Friday, May 26, 2017 and closed Monday, May 29, 2017 in observance of Memorial Day . 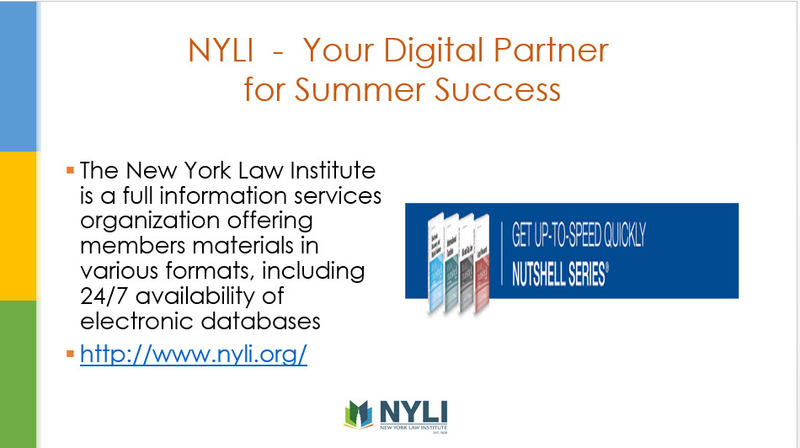 NYLI will reopen on Tuesday, May 30th at 8:30 a.m.
Our Director of IT, Ellyssa Kroski, has written an article Making Access to Library Resources Seamless for the On Firmer Ground blog. Karen Oesterle, Research Librarian at The New York Law Institute has created an excellent and informative research guide geared specifically for new Summer Associates. Check it out here! 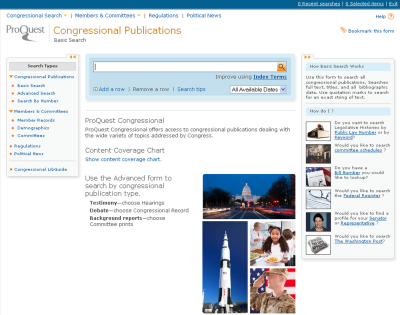 Our Executive Director, Lucy Curci-Gonzalez has written an insightful post for On Firmer Ground regarding What’s Bothering Patent Law Librarians Today – LOTS! – And How I Found Out. 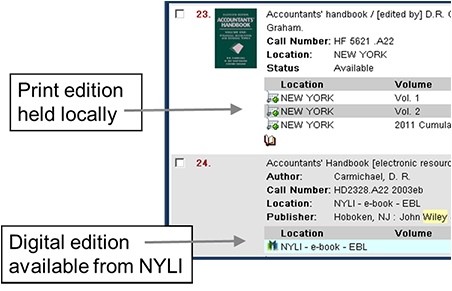 The New York Law Institute now offers members a variety of resources and services including 2 eBooks collections providing access to over 100,000 eBook titles. 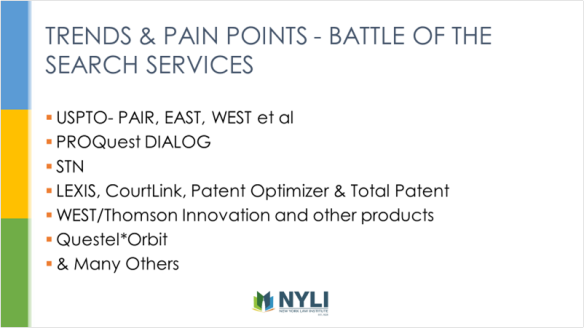 The New York Law Institute is a responsive membership organization that functions as a portal to legal information by offering state of the art functionality providing ease of access to multiple sources of information that members have come to expect. Read more About Us.